I thought I’d start this entry with the latest news on Canadian Pacific’s future. 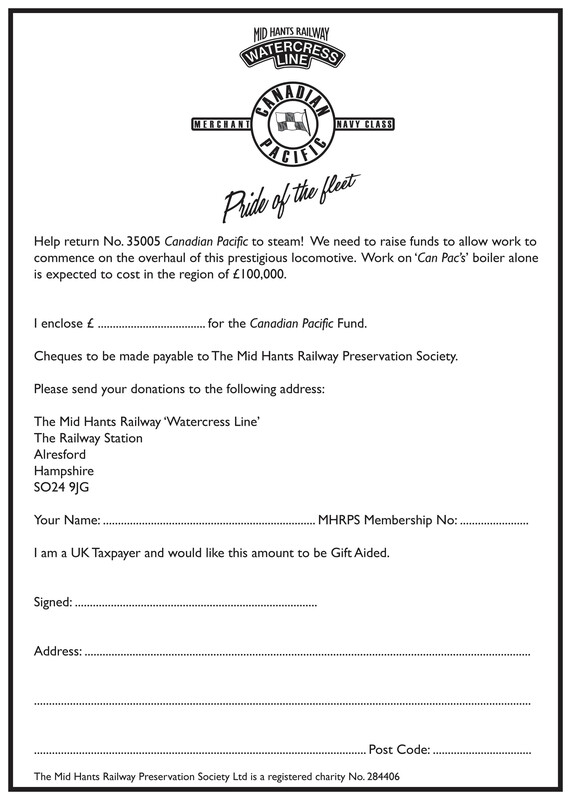 As those who regularly check the internet will know, the Mid Hants Railway were pleased to announce that it has been awarded a first-round pass by the Heritage Lottery Fund for its project “Canadian Pacific – engineering a future from the past.” The project will restore the railway’s flagship engine 35005 Canadian Pacific back to steam, having been moved to Eastleigh in 2011. 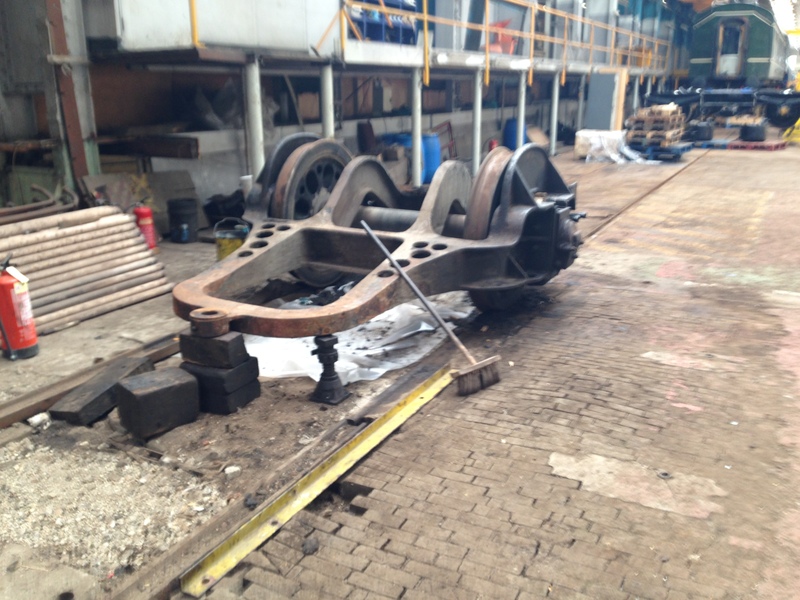 There will also be two wooden framed carriages restored during the project and opportunities for 11 new members of staff, including 8 technical people; 6 of whom will be apprentices with a two year period of training. In addition, there will also be opportunities for work experience available to local unemployed youngsters and engineering students at Eastleigh. The project is currently progressing its plans to apply for a full grant, which will be submitted later this year. 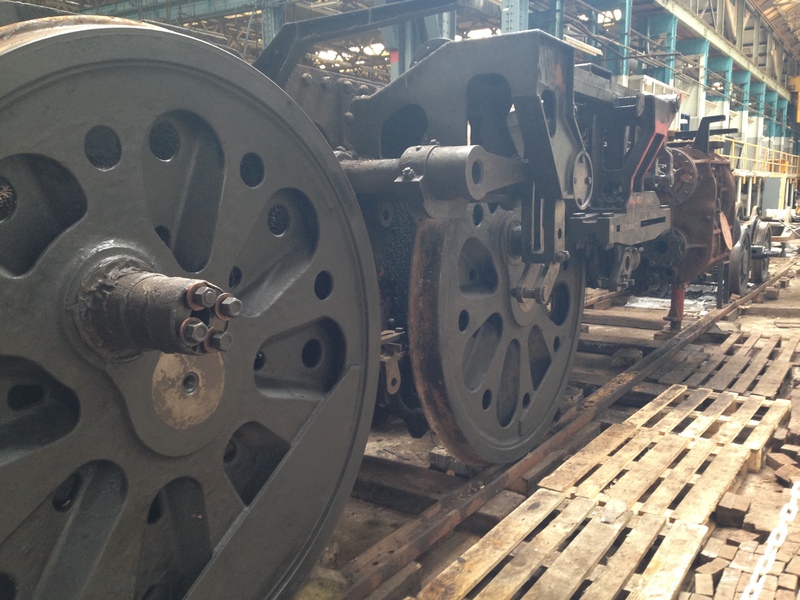 If the second round application is successful then actual restoration work should commence early in 2015 and be complete by the end of 2017. The other big news is that Mid Hants did look at putting 35005 back on the main line but after detailed consideration the MHR concluded it wasn’t financially viable. I am actually quite glad she wont be on the mainline. 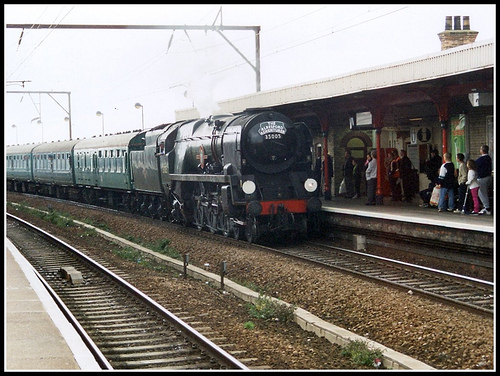 I think she will make more money visiting other heritage lines, especially with Clan Line and the soon to return British India Line on the mainline (even add Port Line to that) there wont be much mainline work for CanPac. Back to the stripping down work on the beast, when I arrived at Alrington after seeing a brilliant performance by Black 5 44932 at Eastleigh (click here for the photos), I was pleasantly surprised to discover that the yard crane had been out again resulting in CanPacs front and rear bogie/truck/pony (depending who I was talking to at the time) had been removed. Our job for the day was removing the springs from the rear pony which did provide a great before and after shot. 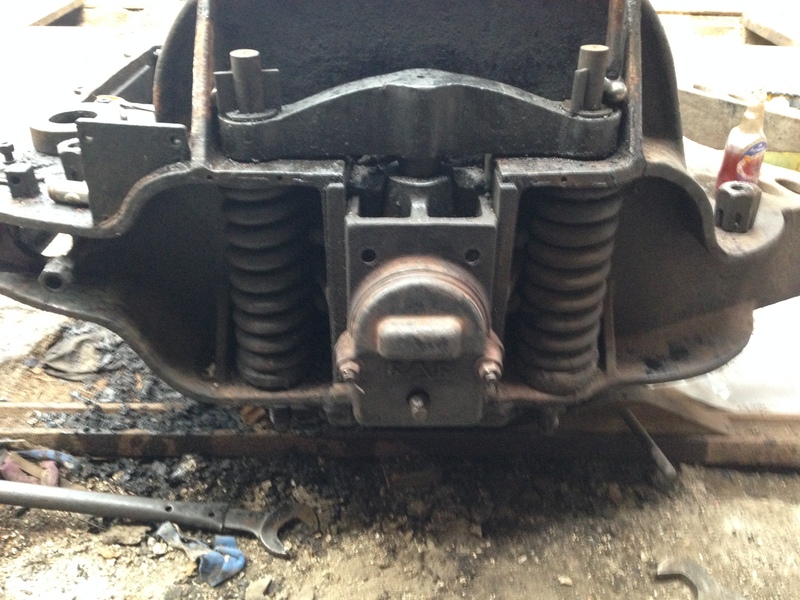 The now removed front bogie resting between the main body and the rear pony. 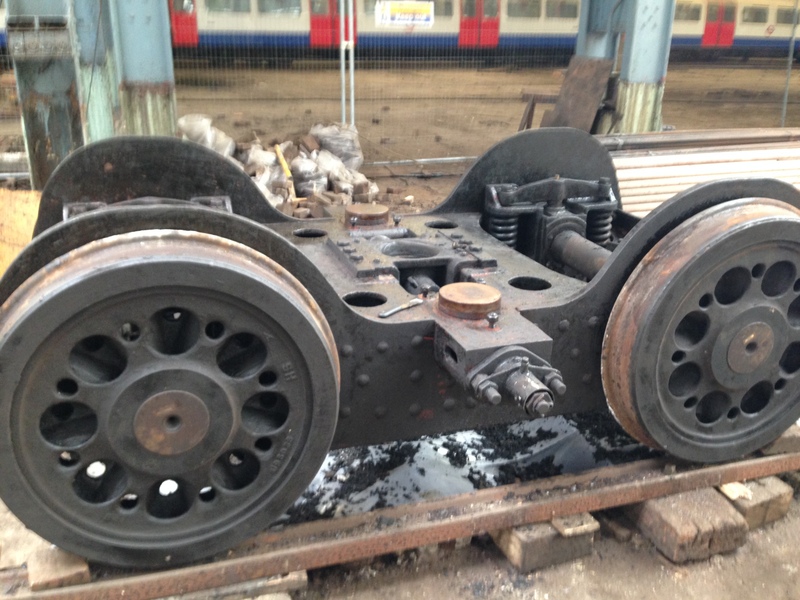 The rear bogie… really should of moved the broom before taking the photo. 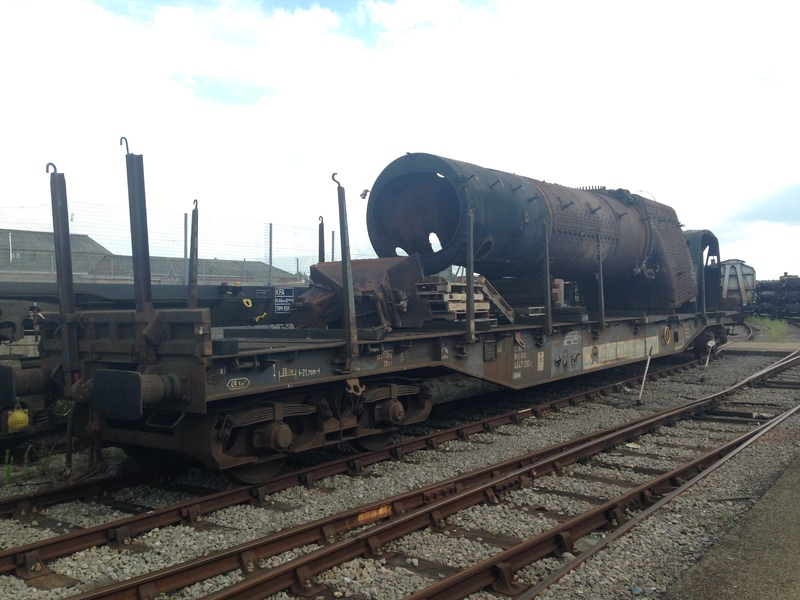 The boiler, ash pan and the cab on the wagon outside the shed. A diary entry wouldn’t be complete with a picture of CanPac from this angle… there is just alot less of now to photograph. If you are thinking about getting involved volunteering somewhere in the heritage world I would recommend you give it a go. 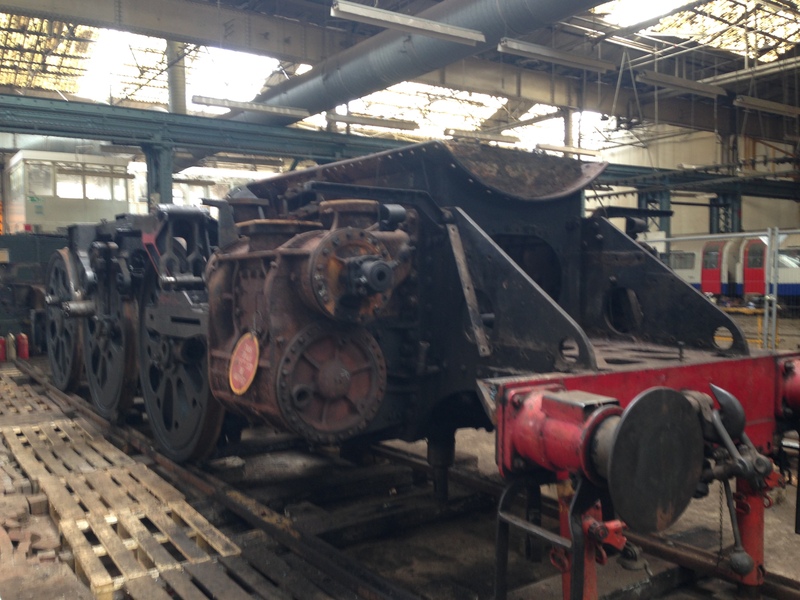 Once your in you will never escape, there is a huge range of opportunities out there everything from footplate crew, carriage restoration (like GWSR Alex), permanent way team, railway guards even people working in the shops.